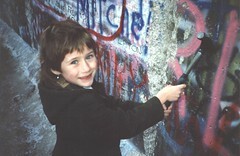 Photo snapped by @topgold of Kitty hammering away on the Berlin Wall. YEARS AGO, WE used to pulverise components to ensure they were never read or used again--just like I watched happen when the Berlin Wall came down and Stasi agents destroyed dossiers rather than risk their exposure. Destroying physical storage devices might seem merely symbolic today, but the fact UK intelligence officers still follow that protocol means they might not have moved beyond the basics of our digital age. Even though the Guardian's raw material (and the items subject to discovery in a court case) were destroyed in London, copies of those documents are also in locations far removed from the reach of British or American intelligence services. Photo by @topgold from the back seat of a Huey. I REMEMBER WHEN I first appreciated the term "signals" in a job title. That was in the 70s when my first cousin told me he was wiring the Oval Office. One result of the wiring job was a conversation recorded in the Oval Office of staffers and Nixon talking about how to unravel the Watergate scandal. I attached that seven minute conversation to this blog post. A decade after Nixon, one of my offices inside the beltway of the District of Columbia had to operate its word processor and printer inside a perspex bubble because a white van was often parked outside. The not-so-anonymous van was configured with an antenna array that the office signals technician knew could read print jobs over the air. Around the same time, a college friend started working with signals inside a formidable organisation I would later know was the National Security Agency. This was a break-through in the guy's career because he trained as a computer scientist and not as an electronics engineer. Today it makes sense because of how the NSA has leveraged Big Data. 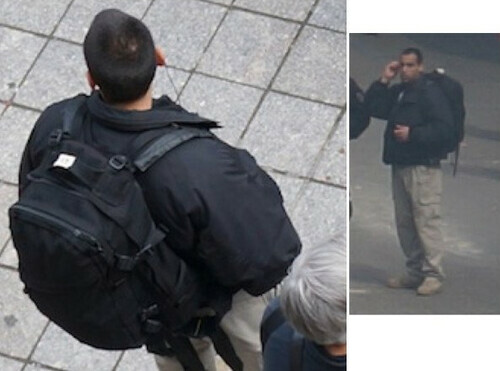 CCTV image released by FBI on April 18, 2013 of man carrying bulky backpack. I HAVE RUN in several marathons and then collected my changing gear from backpacks I placed near the finish line but now I realise that's going to be more difficult in the years ahead. ONE OF THE most interesting things about Google Plus is the way I've seen it used in business when conducting close-held discussions. G+ lets you keep things from prying eyes. Most people look at Google Plus as an alternative social network, but knowing they don't have the time or energy to relocate themselves and their friends from Twitter, Facebook, or Pinterest. 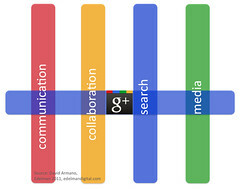 Even though some business strategists (like David Armano with his graphic) see G+ tying together communications, collaboration, search and media, few people point out how there's an invisible pillar in the G+ schema. It operates behind the scenes and goes largely unappreciated by social media experts. It's the locked-down and private channel for collaboration. If you trust Google Docs as a channel for communicating only between your business partners and if you use Google Forms to capture data without it leaking across the internet, you're familiar with the plumbing on the private side of Google Plus. BECAUSE THEY'RE RELATIVELY INEXPENSIVE, I expect to see drones overhead hotspots in Ireland. They're excess to military war zones and plenty of new models have evolved. You can operate a radio-controlled plane with impunity in Ireland and the only concern most people have with unmanned drones is their careless operations over built-up areas. But there's a bigger issue and it revolves around the massive surveillance stash that a covey of drones could bring to the State. In the USA, the Electronic Frontier Foundation is trying to see who has requested permission to fly drones. The ACLU recently issued a report on drones and privacy. 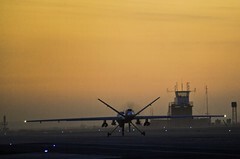 There is very little in American privacy law that would prohibit drone surveillance. I AM A BIG FAN of version-checked document handling and that's why I often prefer edits done inside Adobe's PDF ecosystem and with Microsoft Sharepoint docs. The screenshot shows the dashboard we're using in a creative multimedia module as we learn how to squeeze business intelligence from email traffic. 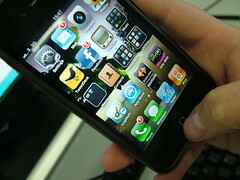 The toolset includes Adobe SendNow, Newsweaver and ReadNotify.